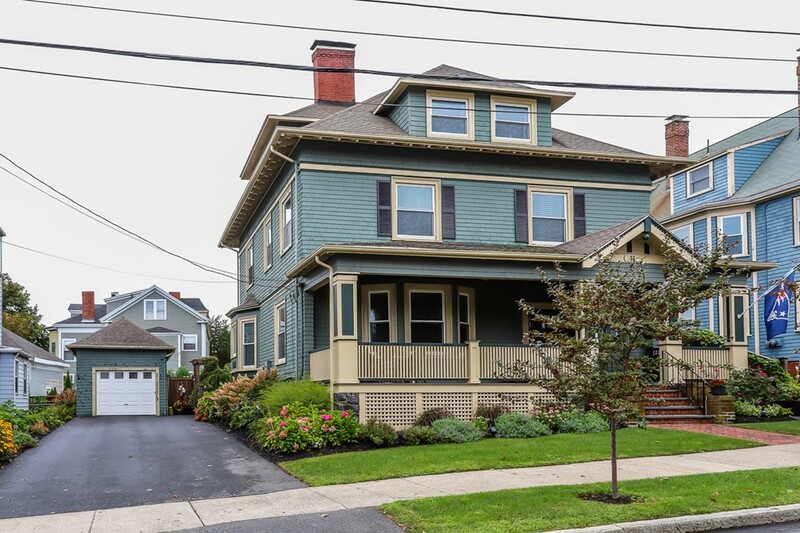 Welcoming and gracious turn of the century Diamond District Four Square Colonial with ocean peeks! An impressive example of the finest craftsmanship & construction in the United States during the early 1900's. Historic details surround you in this 11 room, 6 bedroom, 2 full and one half bath home. Features include: modern chef's kitchen with large granite island, fireplaced living room, large formal dining room, stately foyer with built in window seat. There is a fireplaced master bedroom with walk in closet, & ensuite bath. Current owners have completed major renovations while keeping the charm and integrity of this Grand Dame of times gone by! Enjoy summer evenings on the front porch or stroll the famous oceanfront Lynn Shore Drive promenade. Conveniently located 10 miles from Logan airport, minutes to downtown Lynn's art & cultural district, as well as some new & exciting restaurants. A must see home for the discerning buyer.